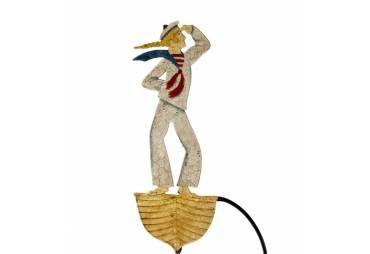 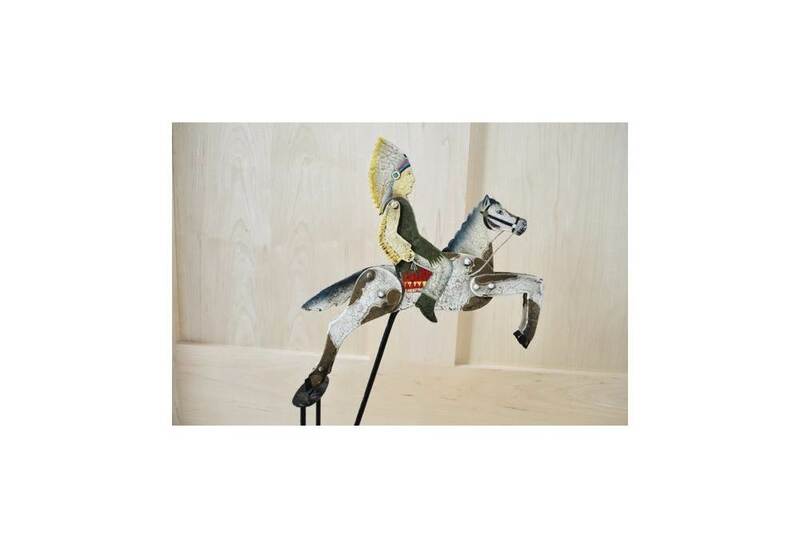 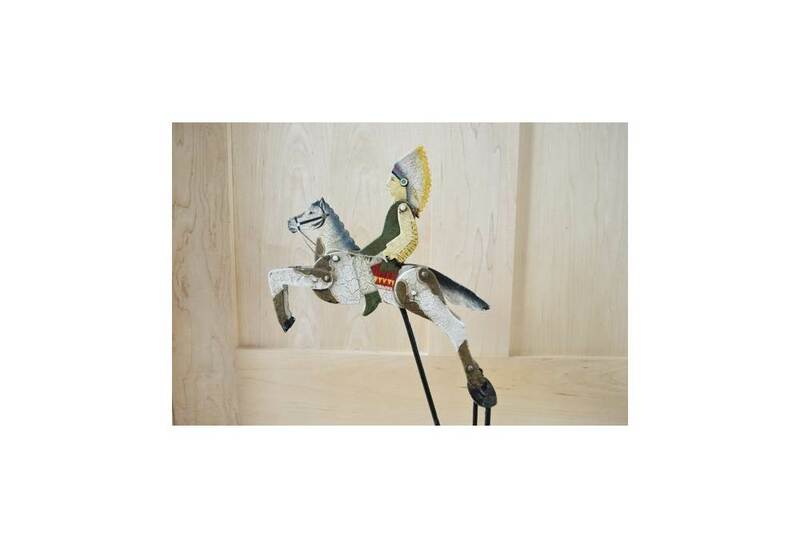 The Great Plains sky hook features a hand-painted horse and Plains Indian chief figure with antique detailing. 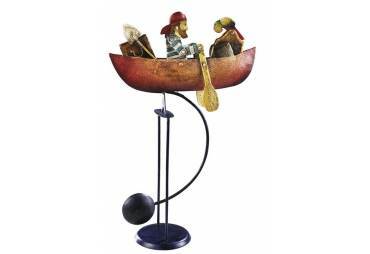 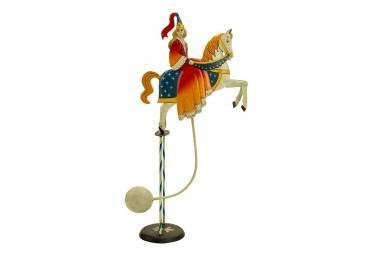 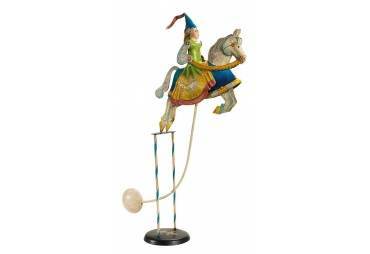 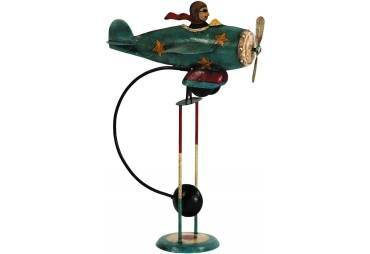 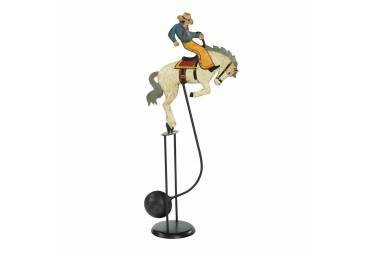 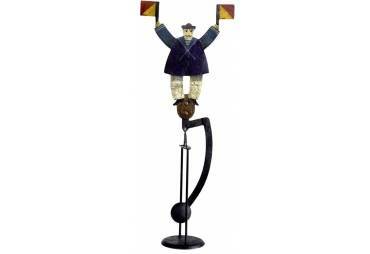 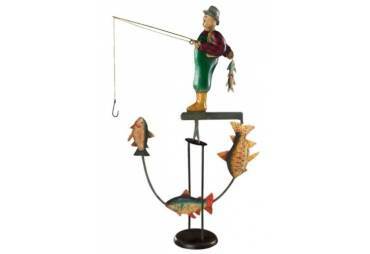 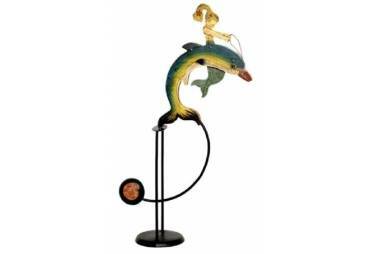 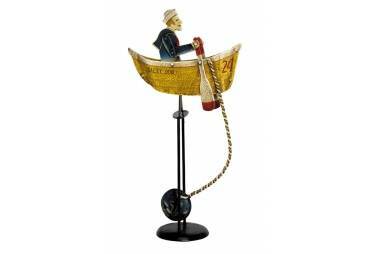 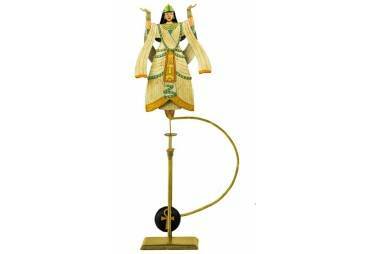 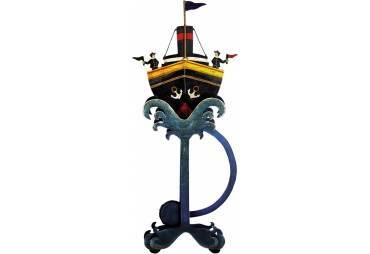 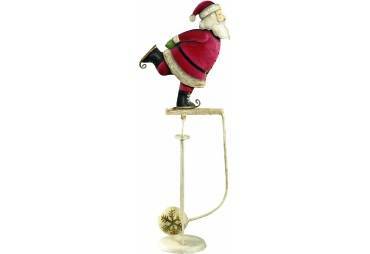 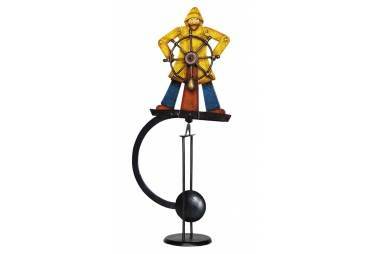 This balance toy, hand-crafted from recycled metal, is a replica of the classic home accessories used in the 18 and 19th centuries. 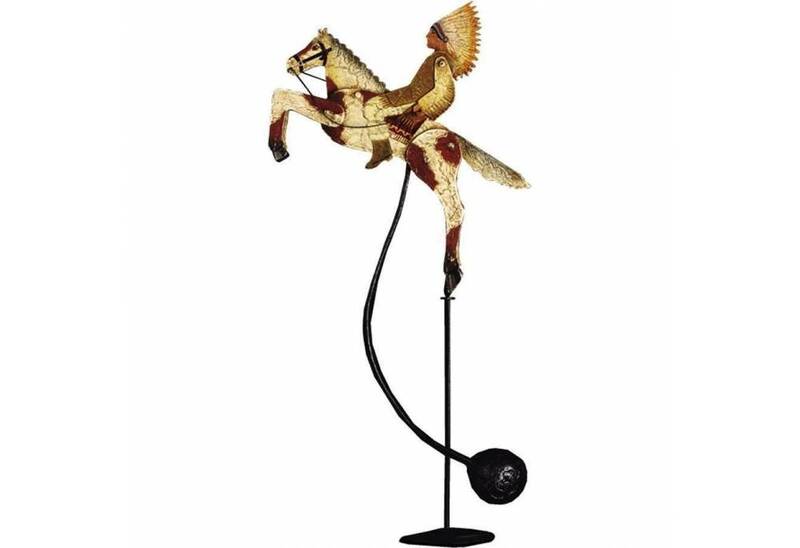 When gently pushed, the sky hook will rock back and forth on its metal stand, setting the Indian Chief and his horse into motion. 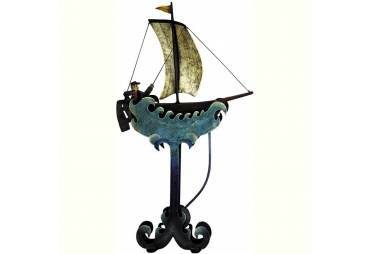 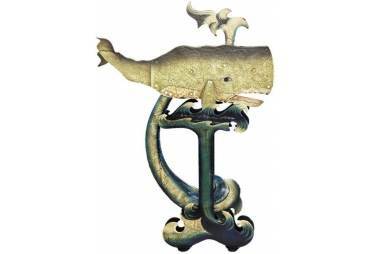 The gorgeous hand-crafted details of the Great Plains antique sky hook will look wonderful on any shelf, mantle, or windowsill. 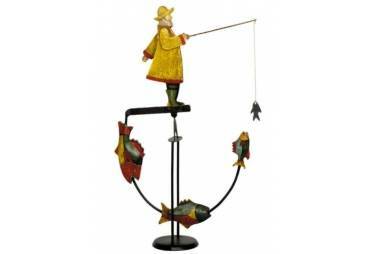 Length: 13" Width: 4.3" Height: 19.7" Weight: 3.5 lbs.